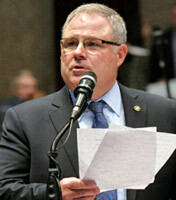 State Representative Rusty Black returned about half of his office expense budget to the state. He says he didn’t spend his entire $9,000 plus office budget for the 7th District. As a member of the Missouri House Budget committee, with a focus on appropriations for education, Black knows just how important every dollar is in the state’s budget.